Last school year (2014-2015) the USDA implemented new food and beverage standards for schools to meet nutrition guidelines. This implementation, referred to as Smart Snacks, requires vending and a la carte snacks to meet specific nutritious standards. This change in 31,000 nationwide school districts has a great deal of support and high hopes of creating a healthier meal plan for children and teens. It is still quite new to parents and children though, and has caused some confusion as to why elementary schools, middle schools, and high schools are allowed different Smart Snack products. 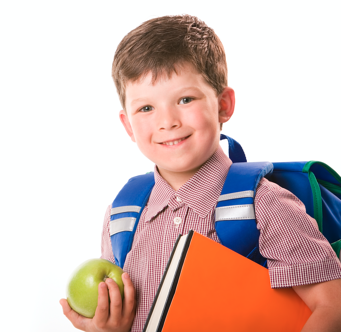 In this blog we hope to provide some clarification on those guidelines for a better understanding of the new USDA requirements for healthy schools. The new USDA food and beverage guidelines for schools promote a healthier generation and lifestyle. However, it’s important to note that these standards vary for the elementary, middle, and high schools to appropriately accommodate all ages. Elementary schools have access to plain and carbonated water, and 8oz. glasses of skim milk, 1% milk, 100% fruit or vegetable juice (with or without diluted water). Middle schools have access to water, and 12oz. sizes of the milks and juices. Elementary and middle school groups are not permitted to have zero calorie or low calorie beverages. High school students are allowed to have water, 12oz. sizes of milks, juices, and low calorie beverages, and 20oz. zero calorie beverages. In some cases, especially in smaller school districts, middle and high schools are connected or housed in the same building. In this case, the USDA guidelines still apply to each specific school age. For example, if a high school and middle school are connected, vending options must be kept separate, in accordance to USDA school guidelines. In order to receive approval for those vending options, they must be in separate school areas (high school only or middle school only, for example) to ensure guidelines are met. Smart Snack vending helps guide young individuals in choosing heathier and Better for You options. The USDA has chosen not only to change snacking standards, but to raise them. Healthier meal and snack habits will help children and teens feel better, focus harder, and feel satisfied for longer periods of time – like during those crucial school hours. With childhood obesity being a major U.S. epidemic, the Smart Snack program - paired with the change in more nutritious breakfasts and lunches - gives hope to decrease the numbers struggling with this disease. There are countless benefits that healthier meals and snacks can provide to children in schools. Supporting these efforts and being a resource is an exciting opportunity for us at Bernick’s as we continue to partner with and strengthen schools in our community. We know nutritious eating and moderate exercise are two key ingredients to a healthier lifestyle. It is important as parents and role models to practice good eating and snacking habits at home, along with encouraging our children to be active. The best way to promote an active lifestyle to your children? Sign up as a family for local fitness activities! This gives children the chance to create goals and work to meet them. Working together to accomplish this is a very rewarding experience. Practicing and maintaining a healthy lifestyle for our children is very important. As a firm believer in health, wellness, and family time, Bernick’s has stood behind the recent health implementations of the USDA as they continue to better food and beverage habits in schools. We challenge local families to take this program one step further outside of school, practicing good for you habits at home with children. Together we can help make a happier, healthier youth.